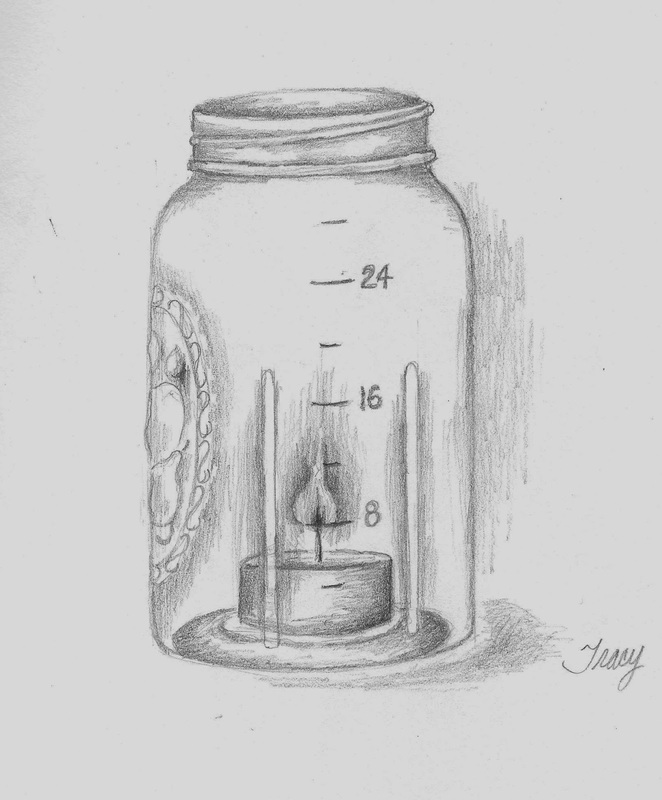 A quick illustration of a Mason jar with a tea lite inside. I will probably turn this into one of my cards. I think either the tea lite or the flame would look great with glitter on it and I can already think of a few phrases that would be really cute for the card. 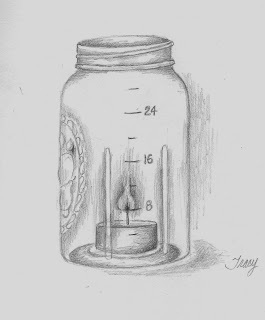 I really do have a fascination with Mason jars. For Still-Life painting, they have character and with added light they reflect and shine well. I have become a collector of Mason jars, kind of by default. I hadn't decided to collect them, I just started buying them for my still-life set ups and became more and more interested in them. There were so many versions over the years that it makes collecting a lot of fun. Recently Mason jars have become a desirable tool for weddings because they are pretty vessels for centerpieces. I hope that once the wedding is over the jars aren't being thrown away.